There are only a few places in India where history meets modernity with geography playing a significant backdrop. The Union territory of Pondicherry is one such place. Constitutionally, Pondicherry is a collective name given to the districts of Pondicherry, Karaikal, Yanam, and Mahe. All these are former enclaves of French India. Pondicherry also known as Puducherry or Pondy (colloquially) is a quaint coastal town that used to be a French colony in India. It has been showered attention for centuries by the colonists, mainly the French. Find out all about this must visit destination in this Pondicherry Travel Guide. 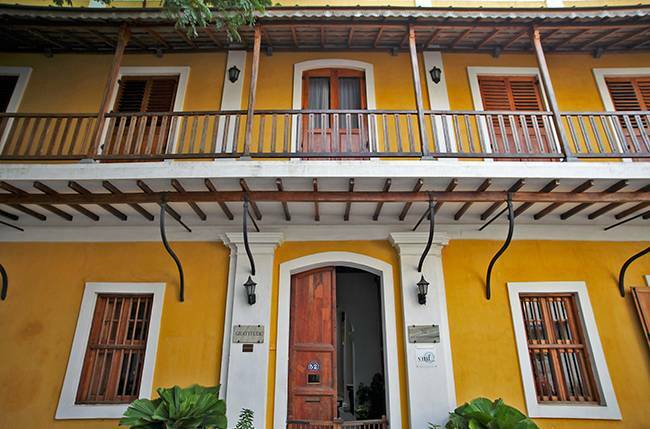 The French having made Pondicherry their home, over the years, have infused South Indian culture with their own unique heritage. The perpendicular streets, French style villas, and their language being few examples. Here we have got together a short Pondicherry Travel Guide for all you need to know…..
Pondicherry is tucked in the south east corner of India, surrounded by the state of Tamil Nadu overlooking the Bay of Bengal. The Union Territory is well connected to the nearby states and districts by bus, and train. Pondicherry trip should be on your bucket list if french architecture, cafes and food appeals to you; if you want to explore your spiritual side or otherwise just want to have a relaxing vacation. The most traveled route to this city is from Chennai. Chennai to Pondicherry distance is about 150 KMs. It is the closest functioning airport, and major railway station, not to mention a bigger bus hub. 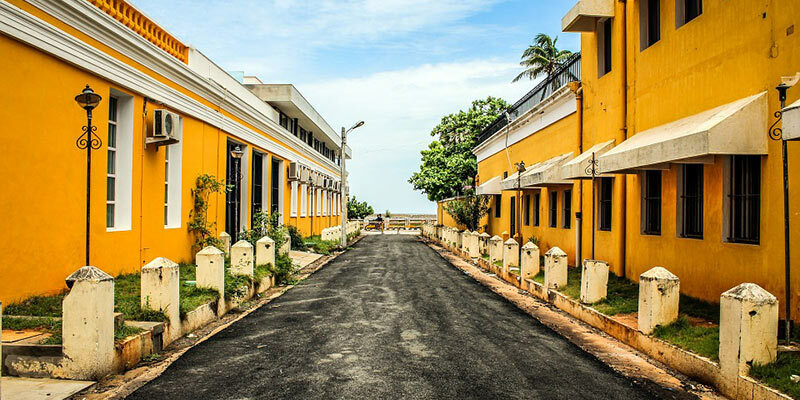 Being well connected to many cities, it has made Pondicherry city a popular weekend getaway in South India. Apart from Chennai, Bangalore is the other major city from where tourists come very often. From Bangalore one can go either by road, train or flight. Bangalore to Pondicherry distance is about 311 Kms though shortest route. If you are planning to drive to Pondicherry from Bangalore, it is recommended you take NH 75 route instead of the shorter NH-77 route. Apart from these locations, flights are now available from Delhi and Mumbai as well. The best time to visit Pondicherry is during the monsoon and winter. The peak season is from November to March during when the hotel tariffs shoot up. The summer days are warm and unrelenting. Evenings become pleasant with the sea breeze. Monsoon months are ideal time to visit Pondicherry. In the summer season, max temperature goes to 42° Celsius while during winter season temperature drops to minimum of 17° Celsius. The average temperature in the monsoon season ranges between 25 to 35 degrees Celsius. A part of the city is historically preserved by the name of heritage town or French Quarters. It has buildings and houses lined in quiet and shady streets that date back to the French Colonial era. An array of vibrantly colored buildings adorns the streets of this town. This area used to be known as the white town. This is where the vibe of the city lies. The architecture of the entire town is a breath of fresh air. This part of the city is very contrastingly different from the other side of the city. The other part being bustling with shops, traffic, and crowd. The culture of this town is a medley of different influences. The spirit of this town lies in its humility to welcome people with warm embraces and to treat them like their own. Little quirks of this colonial town lie in the widely spoken Tamil accented French. South India filter coffee with croissants, foreigners driving a hard bargain in local tongue. Bright-red kepis worn by the police…the aura of this place drifts around striving to capture the attention of its visitors. But, if Goa is what you have in mind, then you’re headed for disappointment. Unlike Goa, Pondicherry has no elaborate set up for tourists. The party scene here is almost next to nonexistent. The individuality of this place lies in steering clear of notions tourist spots seem to represent. Pondicherry is famous for its spiritual culture, which reflects in the way of life of its inhabitants. The society is a blend of conventional and modernity. Shake free of preconceived notions, and approach this city with fresh eyes. Brace yourself for surprises. Though the city might not be a hyper commercial tourist spot (thanks heaven for that), many businesses here depend on tourists. The accommodations vary from French colonial houses turned into hotels. From hotels on the promenade overlooking the sea to simple home-stays. From beach resorts scattered around the coast, to modest ashram guesthouses. Beware; the alluring heritage houses burn a hole in one’s pocket. 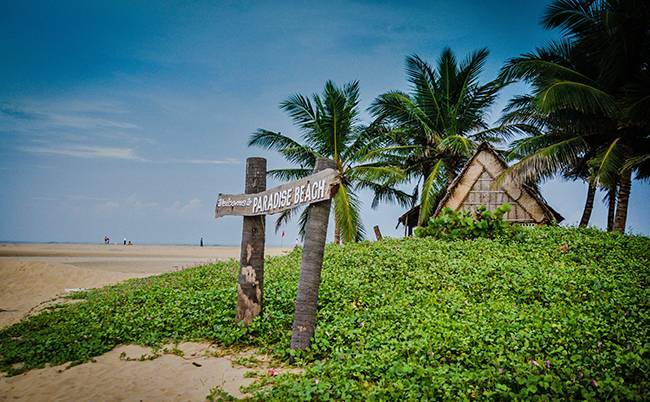 Unlike Goa there are few options when it comes to beach resorts in Pondicherry. Top luxury options include Villa Shanthi, Le Pondy and Hotel de L’Orient. Some premium yet not too costly options are La Maison Tamoule and Mango Hill. It is unlikely to get lost in the city of Pondicherry, but it is highly likely to go around in circles. All thanks to the perpendicular streets and grid patterned town. Rent a bicycle or a bike and ride around the town to explore its highs and lows. This is the best form of transport within the city, and also the cheapest. 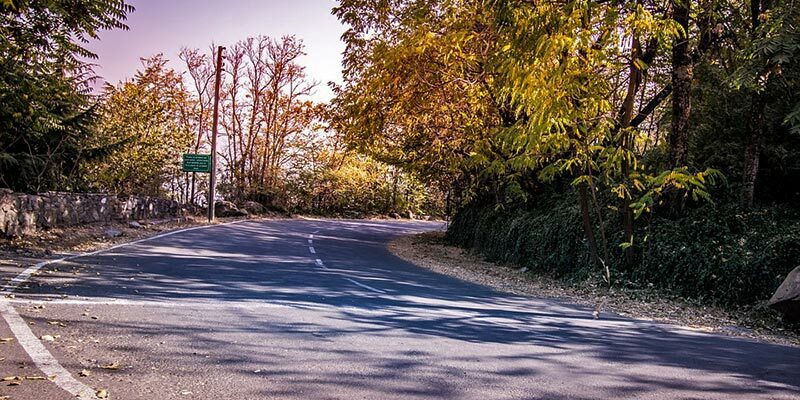 Take it for a spin on the beach road and find yourself relaxing to the soothing sea breeze. To go to places away from the city, hire an auto or even better a taxi. There are many places to visit in Pondicherry if you are going sightseeing. 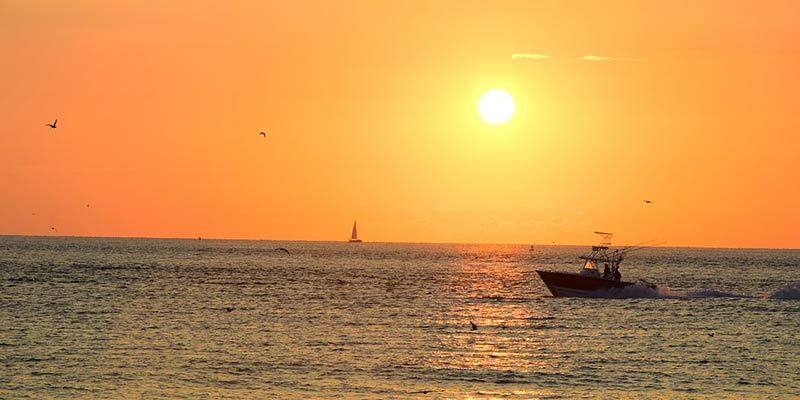 Watch the sunrise or take a stroll in the Promenade or Rock Beach as it is also called. 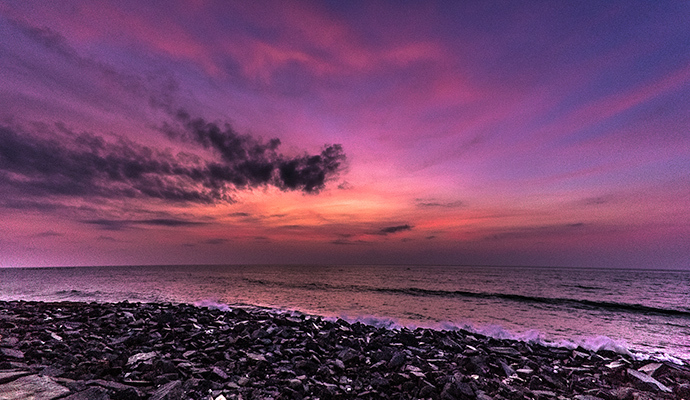 The main Pondicherry beach has no sand stretching into the ocean but rather a wall of jagged rocks. But, the beach road or the Promenade is a treasure of the city. It is a place where almost half of the town’s population is sighted during the mornings and evenings indulging in leisurely walks. The Mahatma Gandhi statue in the center of the promenade is a famous landmark. Promenade is about 3 kms from Pondicherry Bus Station. The pavement is clean, lined with trees, benches, and free of traffic. Watch the sunrise at dawn and streets lights twinkle at night. Head out of the city to find many beaches ideal for swimming, sunbathing, and even surfing. The Chunnambar Boat house located 8 km away from the main city is a popular tourist spot. 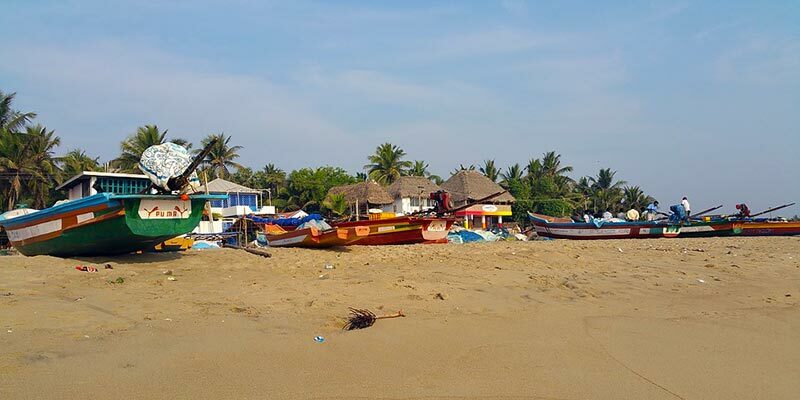 Go boating in the backwaters; take a boat to the Paradise Beach which is an island beach ideal of relaxing, and enjoy a picnic surrounded by waters. Chunnambar also offers tree houses for overnight stays, and a restaurant for meals and snacks. It is a perfect adventure spot. Go rowing, fishing, swimming, bird watching, trekking or view the sunrise from a tree house, or simply meditate. Paradise beach is good enough to figure in any itinerary of places to visit in Pondicherry in one day. This is where many scenes from ‘Life of Pi’ movie were shot. That aside it is a very well maintained park. A flower show is conducted every year attracting large crowds. Not easy to find, Serenity Beach is short drive from city. Nothing special but this is the nearest beach with some sand. This beach is 7 kms from Pondicherry Bus Station. This is a beautiful 17th century Our Lady of the Immaculate Conception Cathedral built by the French and renovated many times in it long history. Do visit in the evening little before sunset for perfect photo opportunity. 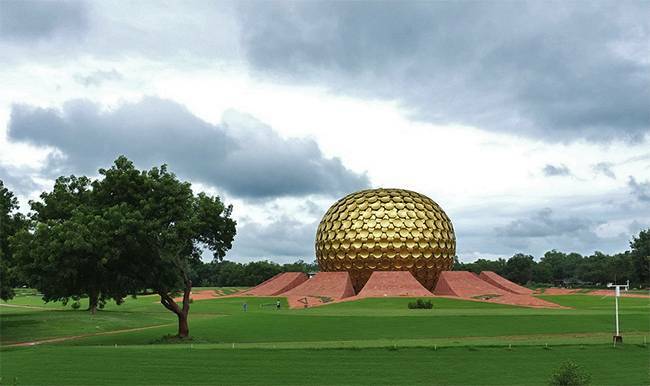 Altough not a tourist attraction, Sri Aurobindo Ashram has played a deep role in putting Pondicherry on the world map. You can visit this place to get a better understanding of his life’s work. His samadhi is present here and also a book shop. This beach is not connected to Auroville or near it but is named after the Auroville bus stop which is near the beach. Auroville Beach is about 10 Kms from Pondicherry Bus Stand and 6 km from Auroville. It is one of the Pondicherry Beach that does not see much crowds. These places to visit in Pondicherry can part of your 2 days or 3 Days trip itinerary. Ruins of ancient era – Arikamedu, the only site India to have confirmed Roman Empire connections in India. In it time this place must have been an important center for jewelry and glass work. At 7 Kms from the city is the town of Arikamedu, an excavation site where the Roman artifacts displayed in the Pondy museum were found. Though abandoned, this site attracts curious visitors. Close to Chidambaram are the Mangrove forests of Pichavaram, which is one of the largest in the world. Backwater country boat rides take visitors into the dense forests for unparalleled experience. Pichavaram mangrove forest are the second largest mangroves in India after the Sunderbans. Pichavaram is 78 Kms from Pondicherry. The backwaters of Pichavaram are a great place for water activities such as kayaking. The Boulevard is one of its kind – series of shaded cobbled streets lined with colonial houses. Most of them in the hues of white, grey, and yellow surrounded by the promenade on one side, and typical bustling streets of south India on the other. The French quarter is furthermore, the home to some of the finest attractions of the town. The French consulate is a fine place to start the tour by having a peek into the French connection of the city. The busiest part of the French quarter also happens to be the calmest one – Shri Aurobindo Ashram. An apt place for meditation amidst deafening silence, alongside the Manakula Vinayagar Temple. Manakula Vinayagar Temple is the most famous temple of the city. It is known for the blessings given by its resident elephant. The tranquil parts of the town are the Bharathi Park, and the nearby museum which is small but even so, has many artifacts on display. French era furniture, sculptures along with artifacts from a nearby Roman excavation site make it an exclusive display collection. 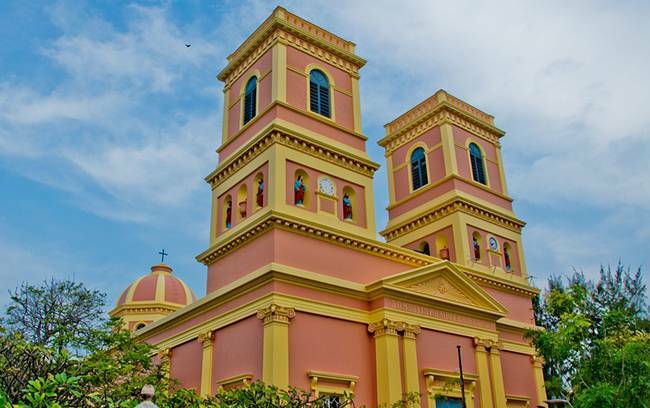 A church is the most expected sight from a colonial town and not to disappoint Pondy has its own share of churches. Among all them the Sacred Heart Basilica stands out for its Gothic architecture. The spiritual culture of Pondicherry attracts thousands of people all over the world. A serious place for yoga and spirituality it is also one of the top Pondicherry tourist places. The Aurobindo Ashram is a spiritual community which preaches Aurobindo’s teachings on integral yoga. A visit to the Ashram sheds light into the lives of Aurobindo and the Mother whose vision is the town of Auroville. Pondy nurtures the spiritual calling of its visitors and thus a great many places are available to learn and practice meditation, and various forms of yoga. The city of Auroville shares the same spirit of Pondy only heightened by its own infuse of cultures. Visit the town for remarkable adventurous experiences. It is the first and the only diving center in the East coast of India. Temple Adventures offer a wide range of diving sites, and packages to choose from. They are open all around the year and welcome people with little to no experience. Professional courses for certification are also available. Check out their website for more information. Recently Pondicherry has become one of top places for surfing on east coast of India. Kallialay Surf School offers surfing lessons every day. If you’re looking for more spots to explore around Pondicherry, then here is a quick list. 1. In the outskirts of the city, there is Ousteri Lake, which is a bird sanctuary and home to hundreds of native and migratory birds. 2. The city of Chidambaram best known for its Nataraja temple and architecture is around 60 km from Pondicherry and is worth a day visit. 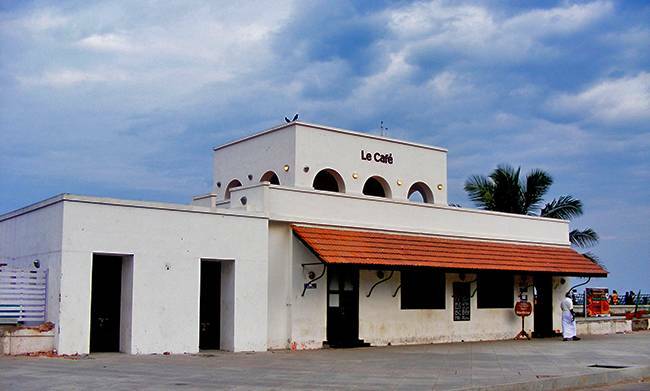 There is no shortage of cafes and restaurants in Pondicherry. In fact, the food here is mouth wateringly distinctive – courtesy to the union of flavors from two completely different cultures. Have a ball by savoring croissants, baguettes, steaks, pizzas, pastas, and of course curries. The cuisine choices here are many, and perfect to experiment with your palate. Alcohol is cheap and free of service tax – this is a redundant statement to mention. If you are expecting to wear off your dancing shoes, then be prepared to face the obvious lack of clubbing spots in the town. The town shuts down by 11pm. As you go around the city, the number of shops selling diverse items is hard to miss. The heritage and culture of Pondy lend its inspiration to the arts and crafts that are produced locally. The Jawaharlal Nehru Street is the destination for street shops and branded stores. You can find handmade jewelry, candles, incense, lamp shades, sculptures, ceramics, paintings. Eco-friendly clothing, antique colonial furniture the list of the things made in Pondicherry goes on. The eco-friendly and sustainable outlook of this town transcends into the work of artisans. 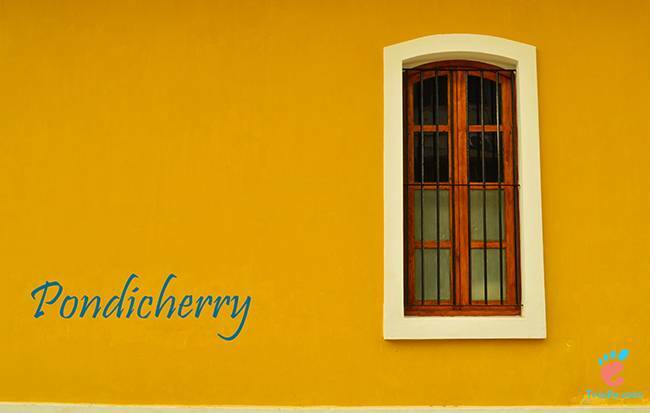 Pondicherry is the destination for aesthetically stunning and eco-conscious shopping. Wear cotton clothes – it’s usually hot in Pondicherry! Don’t make your itinerary very hectic. Leave some time to relax and explore. French quarters is the best part of town, with colonial architecture streets, cafes and restaurants. Bicycle or a motorbike is the best mode of transport for moving around and exploring in Pondicherry. If you want to spend most of your time exploring Auroville and see its way of life the better stay in Auroville which offers various stay options. The list of things to do, to see, to experience, in the coastal town of Pondicherry happens to be an incessant one. No travel guide, however thoroughly written, could paint the exact picture of the town. The judgment is left to the visitors. As they say, the beauty lies in the eyes of the beholder. Nafeesa is a twenty-two-year-old practicing writer, who hopes and aspires to become a famous published writer. Apart from her dabbling in writing, she happens to have a degree in nutrition, and manages a juice bar business, and constantly dreams of a nomadic life.